On July 3, 1985, the film Back to the Future was released in theaters nationwide. The film centers around teen Marty McFly, who travels back to the 1950’s thanks to his friend, scientist Doc Brown, whose experiment goes a little wrong. When Marty gets transported back in time, he befriends younger versions of his parents and he must make sure they fall in love or else Marty and his two older siblings will cease to exist in the future. Marty was portrayed by Family Ties actor Michael J. 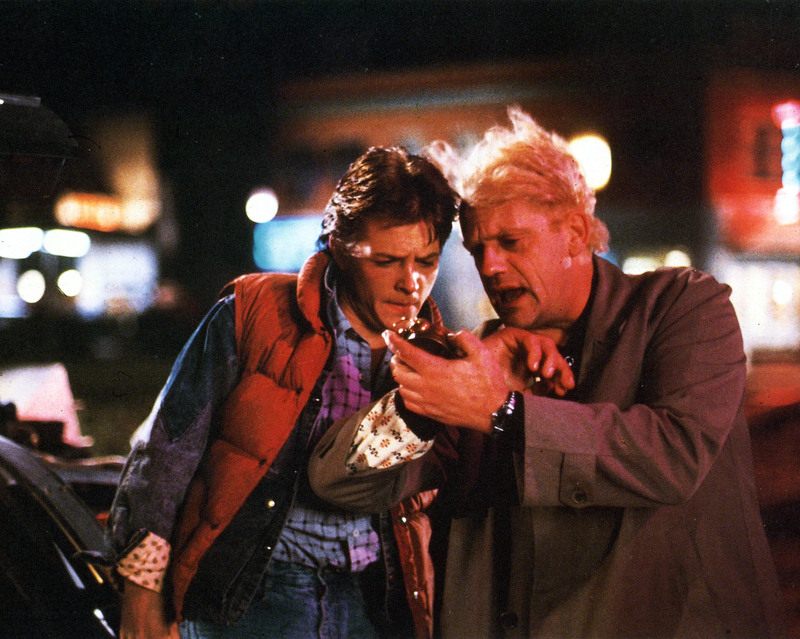 Fox, Doc Brown was portrayed by Christopher Lloyd, Lea Thompson played Marty’s mother Lorraine and Crispin Glover played Marty’s father George. Robert Zemeckis directed the film. Back to the Future received critical acclaim and eventually became the most successful film of that year. The film also became a franchise and produced two more sequels…Back to the Future Part II and Back to the Future Part III. This entry was tagged Back to the Future, Christopher Lloyd, Crispin Glover, film, Lea Thompson, Michael J. Fox, Robert Zemeckis. Bookmark the permalink.